Fashion is one of the most exciting subjects in the world as it has the eyes and ears of a vast amount of people. Almost everyone watches television, reads magazines, and is keen on staying tuned to see what the rich and famous are wearing from day to day. 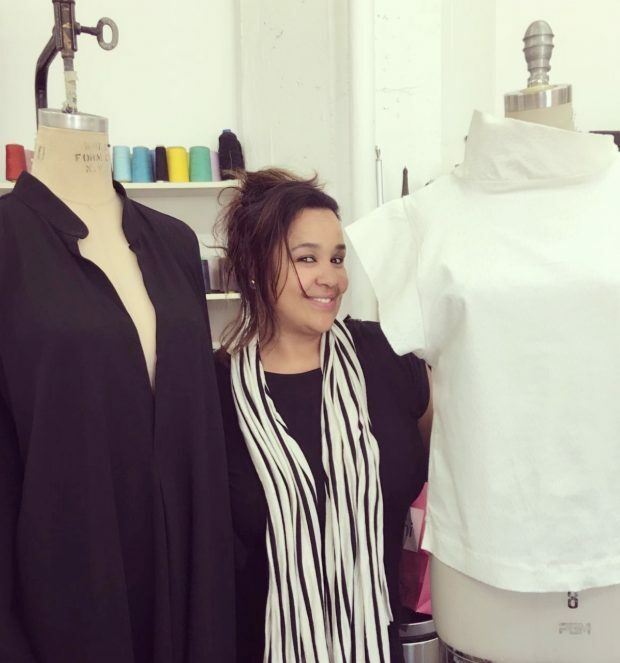 It’s no wonder that more and more people are interested in joining the world of fashion design, and probably this reason must have inspired Soad Kanouni, a Moroccan-born skilled business woman, expert pattern maker and designer to venture into the world of fashion. Having dreamt of becoming an entrepreneur from childhood, Soad persistently pursued her goals. Today she is living her dream as a top tier patternmaker, and now as a designer striving to change perceptions, impact the entire retail economy, and influence generations with her innovative collection branded “Karuma.” Blending rich ideas with great vision, Soad is using her technical and industry expertise to turn her creative energies into saleable apparel. Her collection “Karuma” is a work in progress that she holds close to her heart as it is the culmination of her many years of work and life experience. Born in Casablanca, Morocco on Dec. 22, 1968, Soad has grown to become a professional having garnered over 25 years of experience from several facets of the industry. She specifically harbors every knowledge of the production process which is further enriched by her valuable wisdom and passion with regards to garment construction. Her range includes womenswear, menswear, and juniors while her familiarity with fabrics and fit is immense. Also, her comprehension of distinctive genres such as swimwear, sportswear, denim, casual, contemporary, outerwear, bridal, and couture have created for Soad a stable foundation upon which her merited reputation is built. She has collaborated with multinational corporations, companies, and private labels that have since grown into household names. Her clientele additionally includes numerous designers and well-known celebrity stylists.